Ostrich is popularly known as the largest bird in the world, followed by the emu, but what many people are not aware of is the third-largest bird—cassowary. As they cannot fly away from a fight, this endangered animal use their casque and claw to protect themselves. It is so dangerous, that their attack might even kill a human. In a recent horrible incident, a cassowary had killed its Florida owner when it attacked him reportedly using its long claws. The 75-year-old victim was presumably breeding the birds; the Alachua County Fire Rescue Department reported the media outlets. Madagascar Pochard, World's Rarest Bird Thought to Extinct for a Decade Comes Back to Natural Habitat With the Help of Rescue Teams. 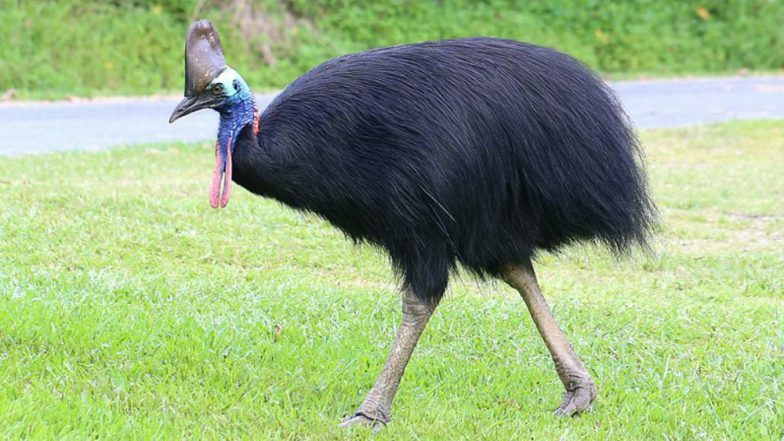 The large, flightless bird native to Australia and Papua New Guinea, is considered as the world’s most dangerous bird by the San Diego Zoo’s website. It’s ten centimetres, dagger-like middle claw on each foot can slice open any predator or potential threat. But the cassowary is said to be shy creatures and will not attack for no reason. The deputy chief, Jeff Taylor, rightly pointed out as he told the Gainesville Sun Newspaper, “It looks like it was accidental. My understanding is that the gentleman was in the vicinity of the bird and at some point fell. When he fell, he was attacked.” It is not clear as to what happened to the bird. World's Most Beautiful Bird Mandarin Duck Graces New York City's Central Park. The cassowary is a type of wildlife that can pose a danger to people and researchers does not recommend people to keep them as a pet. Florida Fish and Wildlife Conservation, spokeswoman Karen Parker reported the same news outlet that to obtain a necessary permit, they require cassowary owners to have “substantial experience” and meet specific cage requirements.